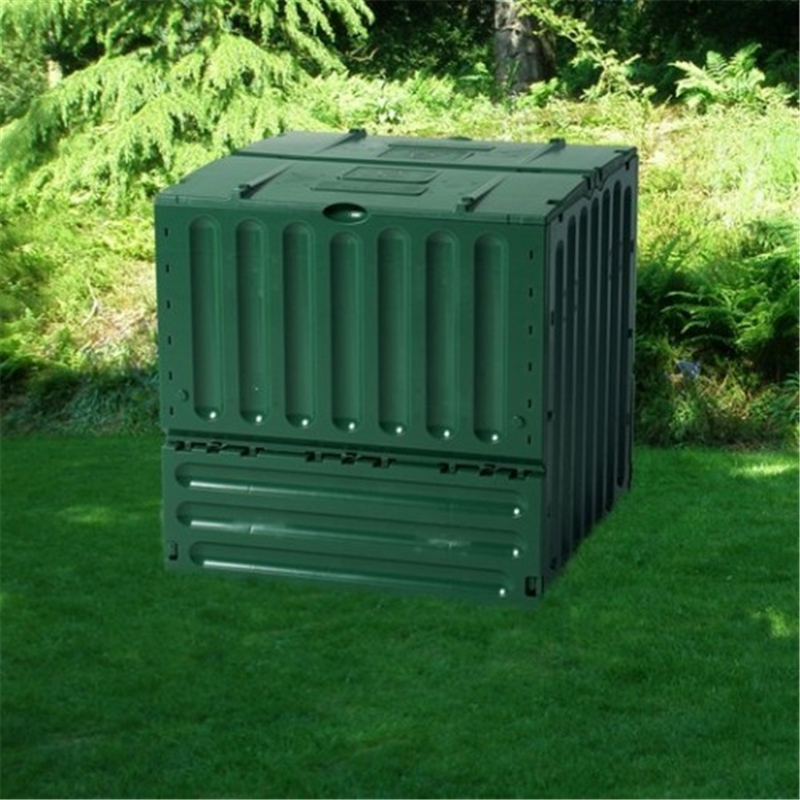 Constructed with polypropylene, deluxe green king composter, a great unit to have in your garden and it is UV stable and easily assembled. 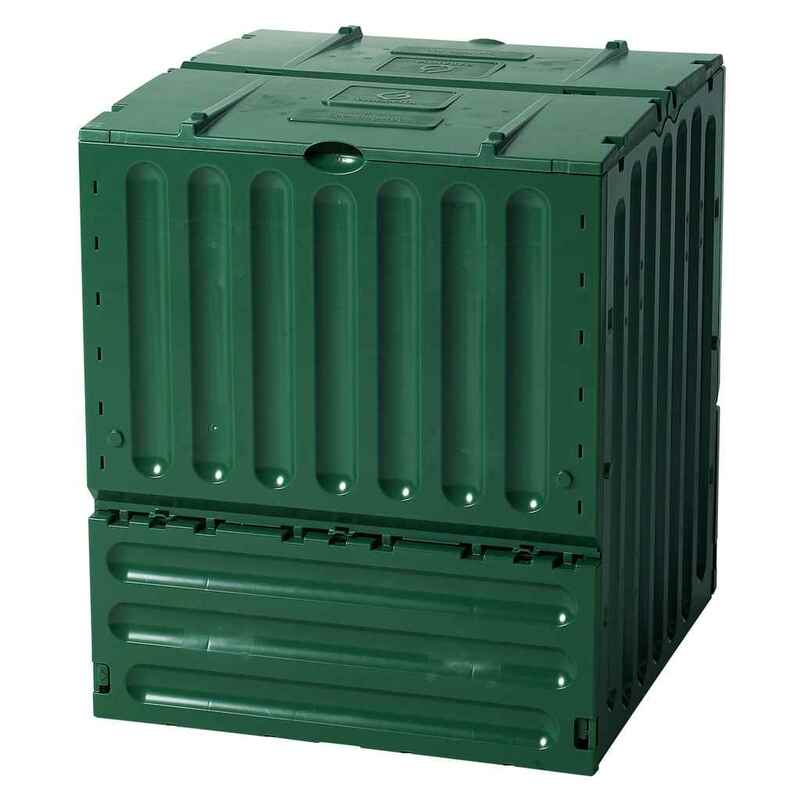 These high quality composters are manufactured using a high grade polypropylene for long life. All models are easy assembly with no tools required, and the new Rapido-Click system gives a secure structure. The Wind-Fix lid adjustment means the amount of ventilation can be controlled ensuring effective compost making. Twin lid flaps give ample room for easy filling, and the removable base flaps allow simple extraction of the final compost product. eggshells (crushed), potted plants, cut flowers, used potting soil. vacuum cleaner bags, street rubbish. for the ventilation of the composters. Ensure that the compost is damp but not too wet. We wish you much success and good composting results!